Numbers tell a story. And if 64 percent of Samoa’s population, which is just below 200,000 people, are aged 35 years and younger, we obviously have a country that is predominantly young at heart. It’s not necessarily a bad thing. While it might have disadvantages politically, socially, economically and culturally, there are also many advantages. Now they say you can’t teach an old dog new tricks. But with the young ones you can. Which is why we say it is great that the majority of Samoa’s population are relatively young. 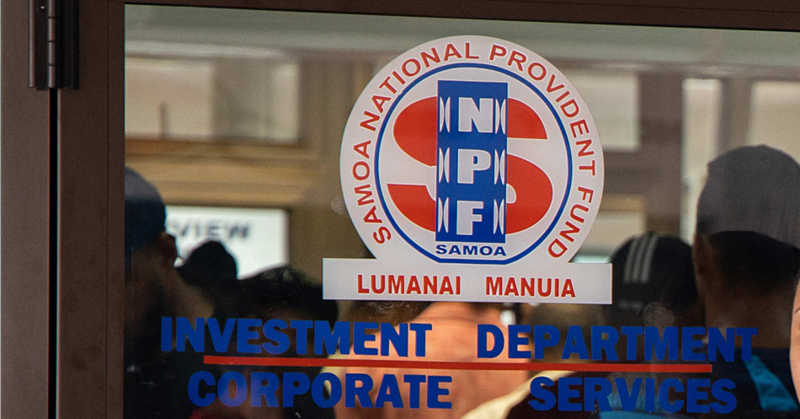 You see, with the problems we see all around Samoa today, you can’t help but get the feeling that some of it is caused by a tired and worn out leadership who have perhaps run their course. Maybe it’s time for a break, who knows? Don’t get us wrong, we say this with the utmost respect for our leaders who have pioneered and paved the way for the country we enjoy today – warts and all. They were called and have served their callings well. Thank you. But we need to remember that everyone has an assignment and with every assignment there is a start and a finish date. There is a time to begin and a time to finish. You see we go through seasons and periods in life and it requires an open mind to new things. It also requires us to learn from the past, reassess and refocus so we can adapt and adjust where we need to. And just because a season ends, it doesn’t necessarily mean it is a bad thing. It doesn’t mean we have done such a bad job that the season has ended. No a season ends because a new season is about to begin. And that’s what makes life exciting; it makes the journey worth taking. It’s the anxiety of moving forward into the unknown, discovering ourselves, what we are capable of and where our limitations are that makes the journey exhilarating. It’s when we fail and get up again. Only then we can say with certainty that we have grown. Think of a baby and how many times he tumbles and falls before he starts walking and eventually sprinting. Such is our journey of learning and finding ourselves. Getting back to the young people and Samoa’s youthful population, there is much potential and much to be achieved. The fact is if we mean what we say when we refer to the youth as the future of this nation, you have to agree with us that the time to prepare them is now. Not tomorrow or ten years from now. If you want to shape their thinking; you’ve got to catch them young or else forget about it. Folks, we live in a very challenging time. One that is defined by so many uncertainties. There is bloody violence everywhere; wars and strife. There is endless bloodshed; crime has skyrocketed to uncontrollable proportions. Economically, socially, environmentally and spiritually, the world is going through a rough time where it feels like everything is being shaken. What all these point to is a worrying and uncertain future, one that will inevitably be inherited by the youth of today. As part of it, youths from organisations, government ministries and other partners have been talking about ways to reduce violence against children, women and men. They have also been making pledges for a safer Samoa. Well, according to the United Nations, young people’s inclusion in the peace and security agenda is the key to building and sustaining peace. “The process of social inclusion for youth, including participation in decision-making as well as access to quality education, health care and basic services promotes their role as active contributors to society and affords young people with opportunities to reach their potential and achieve their goals,” the United Nations believe. Closer to home, the Ministry of Women, Community and Social Development has been driving the message that recognising and mobilising youth is crucial to the development of families, villages and the nation. Now let’s get back to the question we asked earlier: What hope is there? There is hope. It is found in our faith which should not be determined by what we see but by continuing to work hard, chip away knowing that there will be a better tomorrow. How do we prepare our young people for a better tomorrow? Start at home. Every child has a home. That is the solid foundation upon which we need to build our hopes for tomorrow. Have an enjoyable long weekend Samoa, God bless!